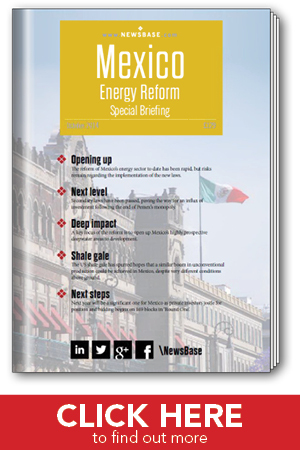 This briefing analyses the radical changes under way in Mexico’s oil and gas industry as it opens up to private investment for the first time in over seven decades. The briefing assesses the legislative changes that have been drawn up and the challenges that remain in implementing them. It forecasts investment trends in shale and deepwater development and considers which companies might bid in the first block tenders that are scheduled for 2015. The briefing contains expert and exclusive analysis from NewsBase Research, the Centre for Economic and Teaching Research (CIDE) and Mexican energy consultants.